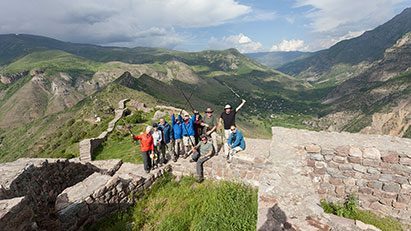 We’re a team of adventure travel experts, ready to guide you through yet undiscovered and untouched corners of Armenia. We know how to do that – and we do that with passion and zest to ensure your most unforgettable adventure ever! You’re probably consumed with wanderlust and strong desire to take untrodden paths, like us. Why wait then? Join us in one of the hiking, biking, cycling, horseback riding tours or request a customized tour for a one-of-a-kind experience. Discover wild Armenia with us! 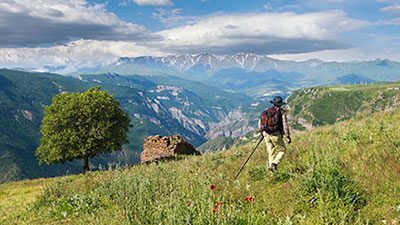 With its picturesque mountainous landscapes and well-established trails, Armenia is a perfect place for keen hikers. Let’s blaze new trails together and admire the captivating beauty of the Armenian nature! 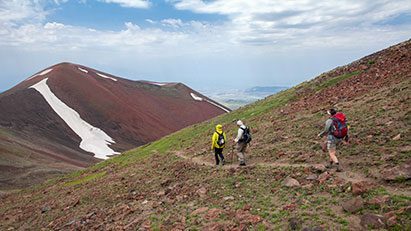 Climbing Mount Aragats is a thrilling journey to undertake with us, filled with culture, nature, and history. 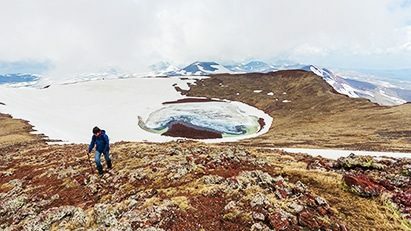 The tallest mountain in Armenia, the picturesque Mount Aragats is home to stunning landscapes and lakes, snow-covered peaks and a taste of ancient natural history. Explore the crater of a long-forgotten eruption as you hike the gentle slopes, and enjoy the abundance of rich Armenian air as you walk amongst wildflowers and beautiful meadows. 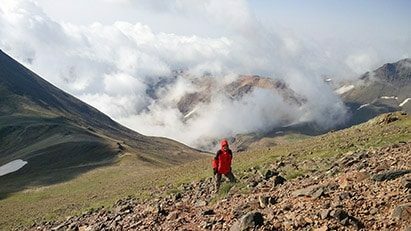 If you are looking for a one-day hiking tour in Armenia, we highly recommend that you consider the "Climbing Mount Azhdahak" tour. This one day hike is designed for mountain lovers who crave isolation from civilization and appreciate hiking adventures combined with sightseeing. Use the #wildarmenia hashtag share your experience!